Showing 54 results for "*"
Examination of an imitation rainbow moonstone assemblage containing plastic-coated gypsum. 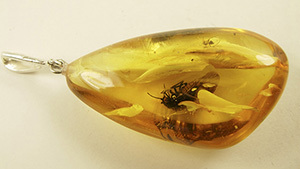 This 9.12 gram amber composite featured a combination of natural and imitation amber, accompanied by natural and artificial insect inclusions. A yellow cultured pearl necklace is compared to the work of a producer specializing in freshwater pearls of all colors. 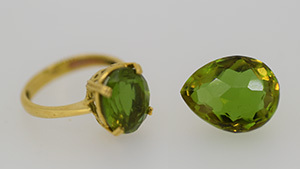 A step-cut beryl is dyed to simulate emerald. 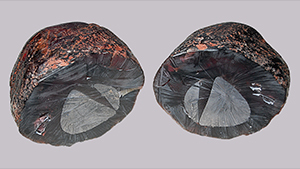 Specimens presented as rubellite tourmaline rough are found to be resin imitations with lead inserts. 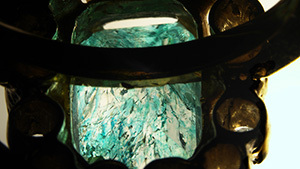 Two samples, presented as Zultanite, are revealed to be color-change glass. 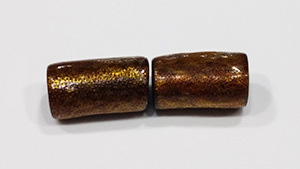 A bracelet created to simulate the properties of golden coral is proven to be a plastic imitation. 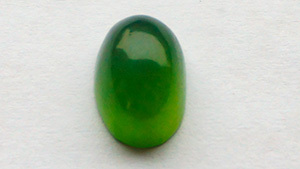 A green cabochon from China resembling jadeite is found to be antigorite, a member of the serpentine group. 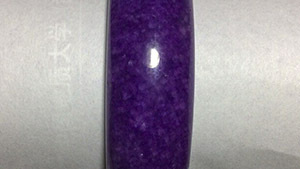 Investigation of a purple bangle identified it as a dyed marble imitation of sugilite. 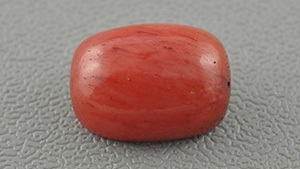 A specimen presenting as red coral is revealed to be dyed bone.